Rooms from $53.51 per night. 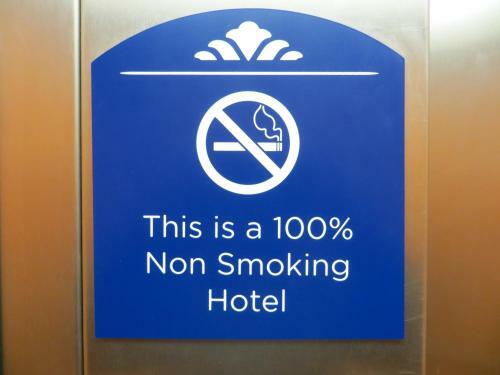 Free breakfast and social hours along with an outdoor pool get the attention of our guests at the non-smoking Microtel Inn & Suites by Wyndham Kingsland. 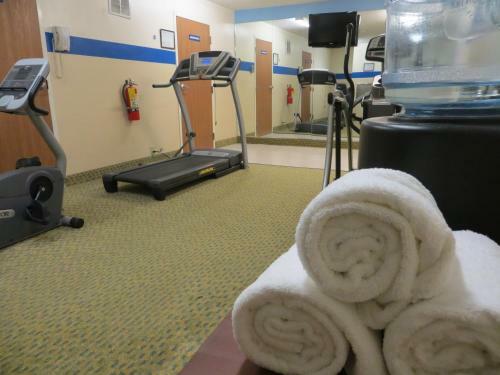 The non-smoking Microtel Inn & Suites by Wyndham Kingsland has three floors with 59 rooms furnished with work desks arm chairs and window seats. 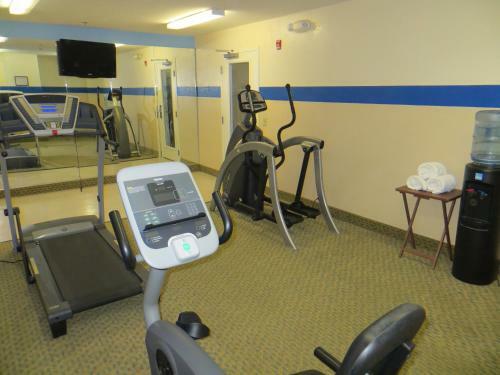 All accommodations also offer free Wi-Fi mini-fridges microwaves coffeemakers AM/FM clock radios flat-panel HDTVs with premium cable and free local calls. Guests are treated each morning to a free breakfast with hot waffles and fresh fruit a nightly social hour and free chocolate chip cookies. 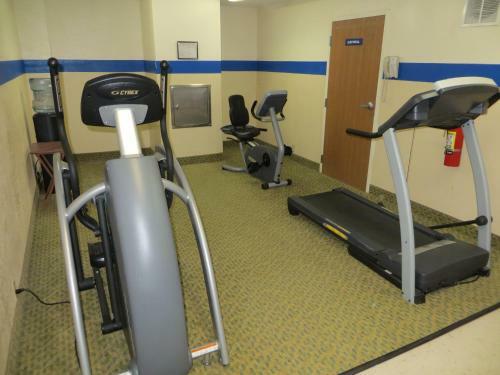 Recreational amenities include an outdoor pool a hot tub and a fitness room. 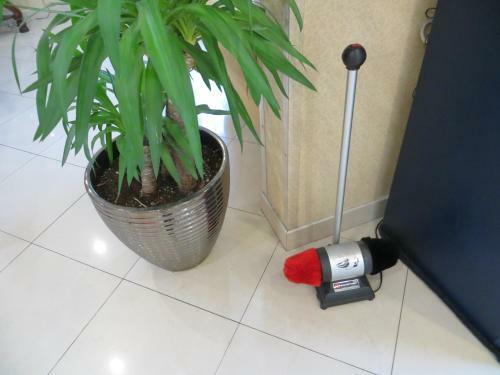 The hotel provides conveniences like a business center a 24-hour coffee and juice bar and a guest laundromat. Pets are welcome for an additional fee in select rooms and parking is free. 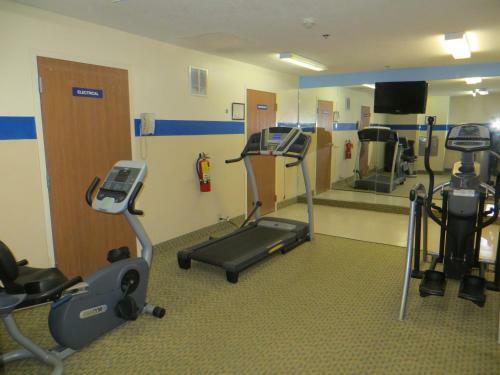 Located approximately three miles from downtown Kingsland Microtel Inn and Suites is less than 20 minutes from St Marys Historic District Orange Hall House Museum Naval Submarine Base Kings Bay and the Kings Bay Submarine Museum. It's 35 minutes to Fernandina Beach. Jacksonville International Airport is a 27-mile drive. 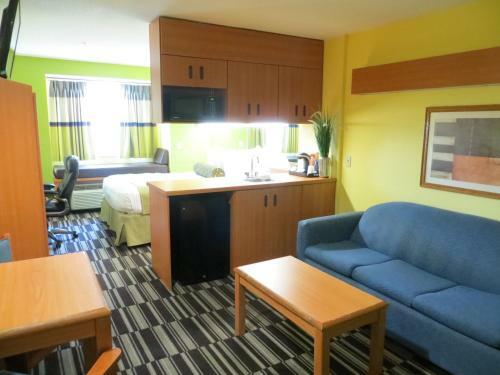 Add Microtel Inn & Suites By Wyndham Kingsland to your free online travel itinerary.